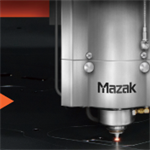 We are launching Mazak’s new technical blog! 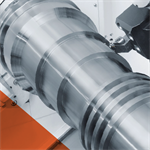 The blog aims to demystify the world of metal cutting machines and is aimed at all machine users, butspecifically those who are new to metalworking and new to Mazak machines. It will cover a wide range of machining, automation and laser cutting subjects, in an easy to digest and very readable manner. We will aim to post a new blog every month, so make sure you come back and catch up on our latest insight. 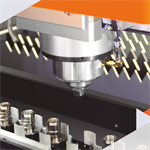 Laser maintenance schedules are an important factor in the choice of a laser machine. Ian Goodwin, from Mazak’s laser service team, outlines the service and inspection process and contrasts the difference between maintaining a CO2 and a fibre laser machine. What is a lathe? A lathe is a machine tool that rotates, or turns, the metal workpiece around an axis of rotation, with tools applied to cut the metal and form a final symmetrical part or component. Modern lathes are usually computer numerically controlled (CNC) in which the lathe’s operations are programmed by an operator.